How can a child’s playhouse foster open-ended creativity and self-direction? Small talk of weekend plans between partner Chris Johns and contractor Rich Gerace lead to us designing a playhouse for his then 4-year old daughter. Given our inquisitive nature, we delved into the question of what it means to play. 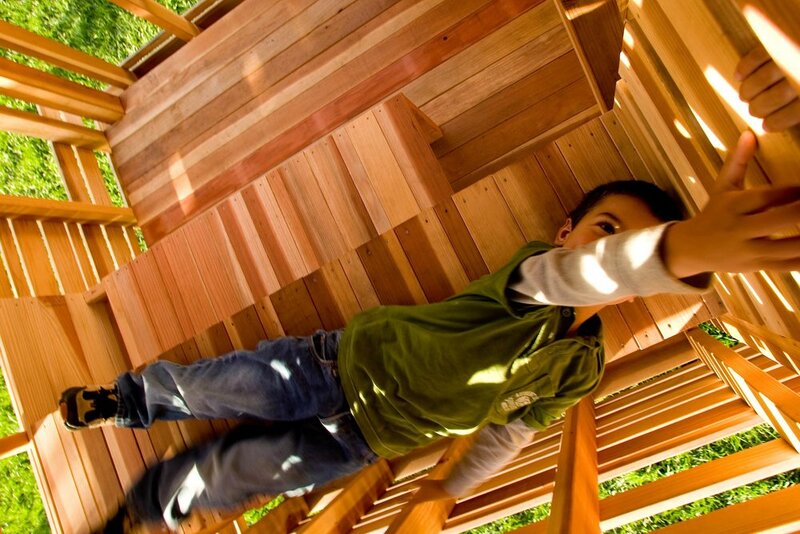 Rather than replicating the traditional form of a house, this play structure provides a unique framework for imagination. Its renewable wood slats filter light and create a rich spatial interior that allows passage over, under, and through its various levels. 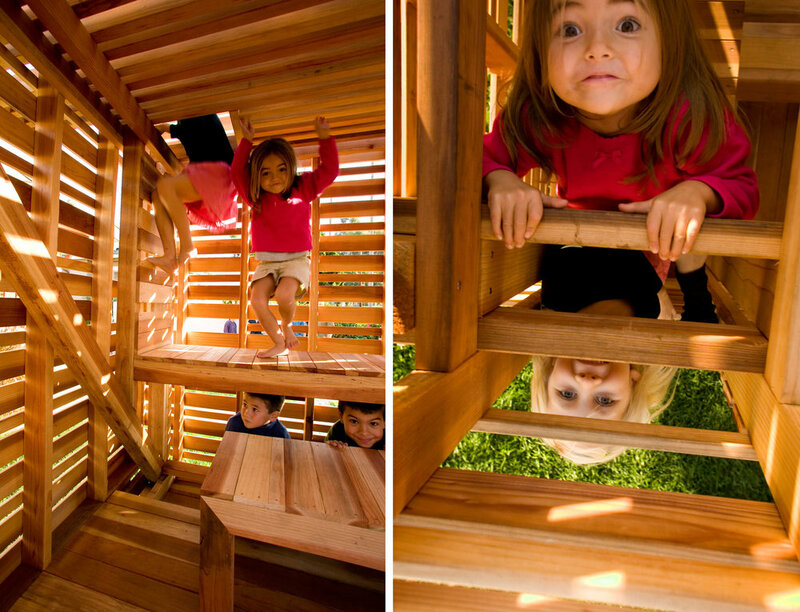 A perfect place for learning, growing, and discovering, the play structure exposes children to the value of design through lively hands-on interaction. The structure was such a hit we were asked to repeat it. We began honing the construction techniques, working with a simple frame and panel system to develop a series of modern playhouses. We’ve completed play structures in California, Massachusetts, North Carolina, and Florida.